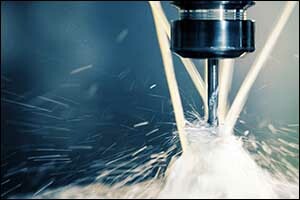 Basic machining services are a dime a dozen in Southeastern Massachusetts, providing manufacturers with lots of options for necessary machining, milling and turning. However, if your business requires precision machining specialists with the technical expertise, state-of-the-art precision machine shop, and manufacturing capacity to meet your specific needs, AMI Machining is the best choice anywhere in the North East USA region. Our one-stop precision machine shop focuses on machining precision components and developing prototypes that will exceed your expectations. Our quality management systems and adherence to Massachusetts quality control techniques are part of what separates us from other providers. Even the most talented and highly trained machinists are limited by the quality of the equipment that they use in a precision machine shop to get the job done. AMI Machining has the ability to assist with just about any project, including large and small applications, standard and custom designs, simple and complex development, big and short runs, and even quick turnover for fast production deadlines. Our team has access to numerous high-value, advanced equipment, which includes machines that are used for CMC machining for the long and short run part milling. We utilize CNC lathe turning centers that can support large diameter turning at close tolerances, and quality control machines such as coordinate measuring machines, as part of our larger quality management systems. Each machine is selected for the production and machining of precision components to meet all of the specifications and requirements of our clients. Top industry brand names like HAAS, Brother, Quasar, Robodrill, Turnex, Okuma, Hardinge, Monarch, Mori Seiki, Zeiss, Bendix, J&L, Micro-Hite, Tesa-Hite, and Fowler are all used extensively throughout our one-stop precision machine shop in Southeastern Massachusetts. We believe strongly that staying up on the latest state-of-the-art equipment and training helps AMI Machining to provide exceptional results designed to meet or exceed the expectations of our clients. We don’t just use one or two milling machines, in fact, under the HAAS name we have several machines from the VF-series for parts ranging from .250-inches to 20-inches in diameter, as well as the VFO-E and two HAAS Super Mini-Mill machines. In addition to implementing quality management systems and using state-of-the-art equipment, we also believe that adhering to the industry’s best practices really makes a big difference in the services that we offer our customers. Lean manufacturing has quickly become the mode of operation at AMI Machining. We use the various concepts and tools provided by the lean manufacturing approach to help maintain a leading edge of precision machining and Massachusetts quality control throughout our shop. The lean manufacturing concept is applied from the initial estimate all the way through processing and shipping of the final product. Lean manufacturing helps us to continue refining our processes to the most efficient levels and provide clients with quality services and value. Quality management systems are in place to ensure quality control across the board. Our team has the knowledge, experience, and equipment necessary to provide optimal quality control for complete electro-mechanical assembly and machining precision components. We specialize in precision machining for a large variety of different industries, including telecommunications, electronics, aerospace, industrial, military/defense, semiconductor, and medical equipment. AMI Machining is veteran owned, ITAR registered and ISO 9001 certified. Our team provides continuous in-process inspections and relies only on regularly calibrated measuring equipment for guaranteed quality control. We believe that our adherence to the industry’s best practices that makes our services superior to other service providers. The quality control machines that we use to ensure accuracy for the parts and components that we manufacture for our customers helps us to stay on track. Our practice of providing 100 percent verification at each production interval and continuous in-process inspection is vital to the success of the services that we offer at our precision machine shop. Our technicians utilize Coordinate Measuring Machines (CMMs), including the Bendix Cordax 1000 and the Zeiss Contura G2 to ensure precise measurements with computer-aided accuracy. At AMI Machining, we take machining precision components very seriously. If quality, efficiency, and consistency are important to you too, contact our team to get a FREE estimate for our professional services. Call 508-947-1192 to speak with one of our engineers or technicians about your machining and assembly requirements.